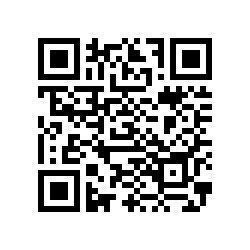 QR code (Quick Response Code) is the trademark for a type of matrix bar-code, first designed for the automotive industry in Japan. A QR code consists of black modules (square dots) arranged in a square grid on a white background, which can be read by an imaging device (such as a camera, scanner, etc.) and processed using Reed–Solomon error correction until the image can be appropriately interpreted. The required data are then extracted from patterns that are present in both horizontal and vertical components of the image.